Picture this: You’re recruited for a month long internship with a top company, and should you succeed at that internship, the company will offer you a job. However, at the end of the internship, you find out you didn’t make the cut. However, another top company happened to notice you, and offers you a full time position there, no questions asked. Admittedly, while not the best way, this is still a good way to describe what happened to Texas Rangers pitcher Logan Verrett. A former Mets draft pick and projected fringe major leaguer, Verrett was given the opportunity for a fresh start when he was plucked out of their system by the Baltimore Orioles in the Rule 5 Draft. Verrett had a decent spring, but given the lack of space on the Orioles’ roster, especially in the relief corps, the team tried to keep him by sneaking him through the waiver wire. 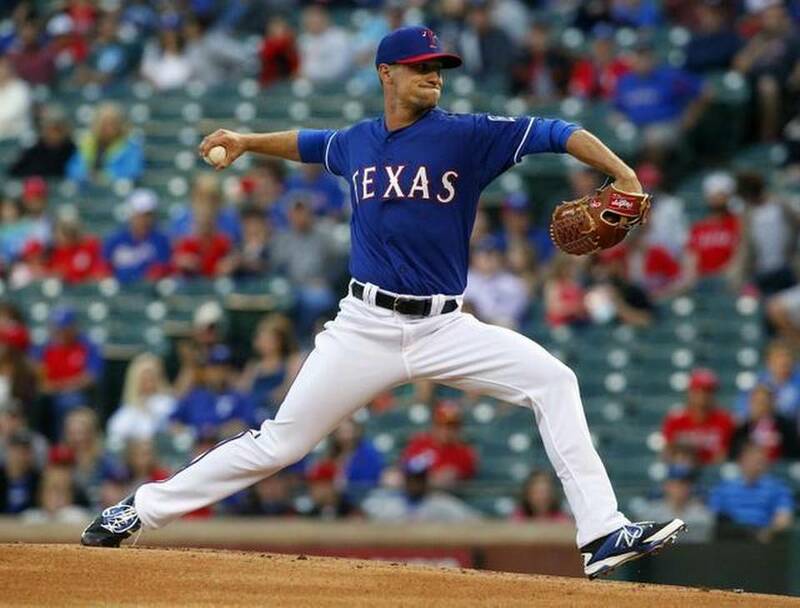 The Rangers, who have been dealing with several injuries this spring, pounced, and flew him out to Arlington where he was given the opportunity to pitch against his old team, the Mets, in an exhibition tuneup. The Rule 5 Draft is mutually beneficial for teams and players. On the players side, it allows certain prospects who have languished in the minor leagues for years to showcase their stuff for teams who need, and are looking for cheap talent. On the teams’ side, it’s a very cheap way to try out a player who may or may not have major league potential. Should the player succeed, he has the opportunity to stay on the roster, provided it’s for a full year. Should he not, the team offers the player back to his old team for half the money it cost to draft him. 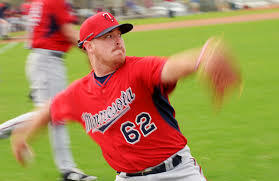 The Rule 5 Draft has been especially beneficial for teams looking for relief help, as it has yielded plenty of decent pitchers; among the more recent examples, Josh Fields, who went from being a failed first round pick in the Red Sox system to being a key member of the Astros bullpen, and TJ McFarland, an Indians minor leaguer who went to the Orioles and became a solid reliever/starter hybrid. This year’s class, while it’s still a bit early to make determinations, has the best shot of being one of the more valuable Rule 5 classes in the draft’s history. Usually during Spring Training, about half of the picks made are returned to their original teams, but as of today, only one, Astros pitcher Jandel Gustave has been returned, while all those left still have shots at, or have already made the major league roster. Oscar Hernandez was all but given a shot at being Arizona’s backup catcher as the team opted not to upgrade the position following the Miguel Montero trade. With Tuffy Gosewisch expected to start until top prospect Peter O’Brien was ready, Hernandez seemed primed for the important role of backup catcher. 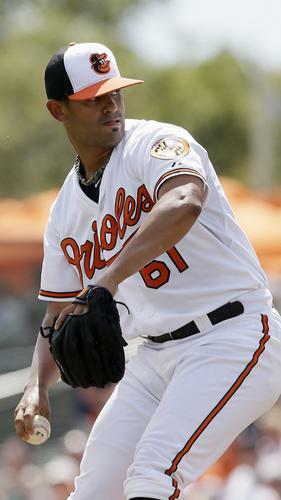 However, Hernandez injured his wrist while batting back in early march, and underwent surgery. He is currently in his third week of recovery; usually this type of surgery takes up to 5 weeks to recover. While his roster status is murky, his competition for the backup spot doesn’t seem to offer much concern as to whether or not he will stay, or be returned to Tampa Bay. Gerald Laird may have experience, but a 36 year old catcher isn’t exactly reassuring for long term security, and Blake Lalli is a more expensive Hernandez. Expect the Diamondbacks to make a decision on him soon. While first round picks and top prospects are often given higher visibility than other minor leaguers, it doesn’t always mean that they’re immune to being expendable, and no better example comes to mind than Delino DeShields. The former Astros first round pick took an exceptionally long time to adjust to the minor leagues after being drafted, and jumped on and off of the Top 100 Prospect list. Just when it seemed like he had finally come into his own, however, the Astros had strengthened their system and he found himself expendable. 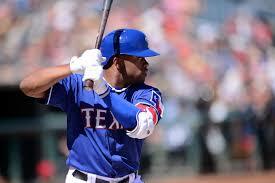 With the Rangers, DeShields has the opportunity to be a fourth outfielder and a late inning speed boost. Given the Rangers’ constant problems with injuries, it wouldn’t be a surprise if DeShields does find some regular playing time during the season. If you’re a Rule 5 Pick, and you somehow make it on the Orioles roster, chances are you will likely stick. 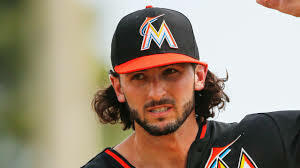 Given the team’s recent success with Darren O’Day and TJ McFarland, Jason Garcia is likely breathing a sigh of relief, and thanking his lucky stars that he was kept while Logan Verrett was claimed. He’s the typical Rule 5 guy, a pitcher who may present some value in the bullpen. If he can make himself noticed, he may not have to worry about being returned to Boston. J.R. Graham is a former top prospect trying to reinvent himself after dealing with an injury that nearly ended his career. The former top 100 prospect is considered to still have some degree of value as a reliever, and is expected to enter high pressure situations to prove his worth. Graham was one of the few Rule 5 picks to gain exposure from the national media during camp, as his stirrups led to a fascinating human interest story from Fox Sports. Given the Twins’ lack of a viable live arm in the bullpen, odds are Graham will not have to come back to Atlanta. Taylor Featherston is probably the most underrated pick in this year’s class. A guy who didn’t make much buzz during the spring, he still somehow impressed the Angels brass enough to make the team as a backup infielder. Given the importance of backup shortstops, Featherston is likely going to serve primarily as a defensive sub off the bench. 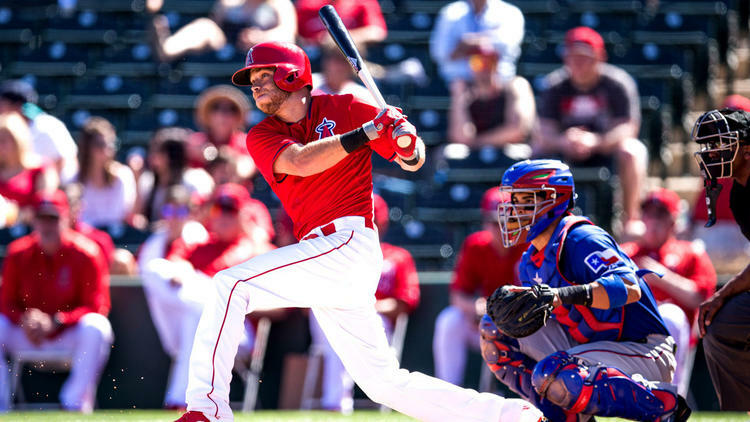 While the Angels have a glut of middle infield depth in Johnny Giavotella, Grant Green and Josh Rutledge, Featherston’s positional versatility should give the Angels more incentive to keep him rather than return him to the Rockies. Teams that are in rebuild mode often use their Rule 5 pick on positional players. The Marlins successfully gambled their 2005 pick and turned it into Dan Uggla, while the White Sox got value in catcher Adrian Nieto last year. 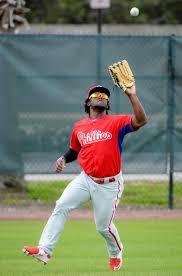 This year, the Phillies are giving Odubel Herrera the opportunity to play the outfield while they play the rebuild game. 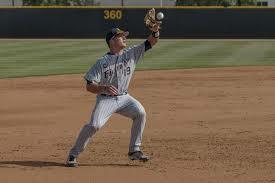 Herrera has speed and a lively bat, and his glove makes him a valuable centerfielder. In fact, his play in centerfield effectively moved Ben Revere to left field. Herrera’s spring, not to mention his ability has led one sports page to dub him the next Shane Victorino, who was, incidentally, a Rule 5 pick of the Phillies in 2005. Because of the value that Herrera offers, he could conceivably stay in Philadelphia, rather than go back to the clog that is the Rangers’ middle infield depth. Although not as visible as Verrett, Andrew McKirahan is filling a similar role to his fellow Rule 5er. Bullpen inconsistency and injuries essentially forced the Braves to claim the former Cubs prospect on waivers and use him. This isn’t to make McKirahan’s addition sound like a bad move, rather, it’s good for him, as he has a guaranteed spot, at least until Josh Outman returns from the disabled list. McKirahan has value as a lefthandedhanded long reliever, and his spring has been decent; in fact he threw a perfect inning in his Braves debut. He and Luis Avilan will make up the left-handed portion of the Braves bullpen, which is a good idea to give him some experience as the Braves rebuild. Sean Gilmartin follows a similar narrative to Josh Fields: a former first round pick ends up being traded to another team, and then toils in the minors there, only to be picked by another team in the Rule 5 draft. Once a consensus All-American, he found himself thrust into one of the oddest bullpen competitions in spring. Gilmartin was considered the “best man” in a competition where the best ERA was below 6, and though he settled down and lowered his ERA, the Mets went out and acquired two left-handed relievers, likely to put less pressure on him. With the Mets opting to go with an unconventional, and somewhat confusing 8 man bullpen, Gilmartin has the chance to prove that he’s not just a warm body. As a former starter, his value will be in long relief. 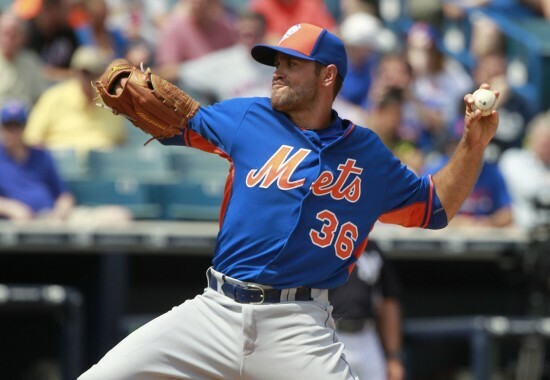 Even if Alex Torres has some consistency issues, Gilmartin is still on a shorter leash, and he will need to replicate his latter half of spring if he wants to avoid returning to Minnesota. Daniel Winkler may be one of the biggest enigmas of this year’s class. A right-hander with plenty of talent, he was struck by the Tommy John bug last year, and is expected to miss time while he recovers. Injuries are usually the big complicator for Rule 5 picks, so the amount of days that Winkler gets with the Braves will likely not be enough to exhaust his rule 5 status until 2016. Don’t be surprised if he possibly gets returned to Colorado. 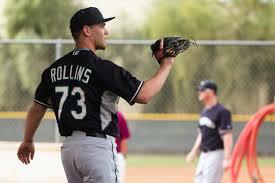 David Rollins is the biggest wild card of the group. While he does have value as a left-handed reliever, he unfortunately shot himself in the foot by testing positive for PEDs, leading to an 80 game suspension, the first time this has happened. The Mariners have not said whether they will return him to the Astros, but don’t hold out hope that he will stay. We’ve already covered Logan Verrett, so no need to go back there. The only Rule 5 pick who has prior major league experience, Andy Oliver had an advantage over some of his contemporaries, and as the injuries hit, his chances seemed better and better. However, it seems as if Oliver may not have a spot on the team, despite making Bleacher Report’s All Spring Training Team. 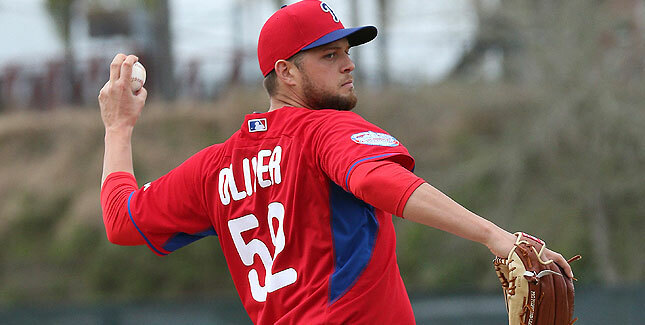 Oliver was placed on waivers, and even if he clears, the Phillies would have to offer Oliver back to the Pittsburgh Pirates or make a deal involving him, before they could option him to the minors. Of course, making the roster and surviving the season are two completely different things, so those who have made the the cut still have the challenge of staying on the major league roster. So long as a player stays on the active roster for 90 days, he will lost his Rule 5 status, and a team can proceed however they wish with their player. Will we be seeing another Uggla, Victorino, or Johan Santana from this group? Time will tell. And now for the final part of MinorLeagueMadhouse’s 2014 mock draft. The Rays do not have a shortage of prep arms, that’s for certain, but given the weak corner infield talent in the draft, which is something the Rays system could use, it’d be better for them to stick to something they know how to develop. Dylan Cease is a fastball pitcher with other options, but they need to be smoothed out. 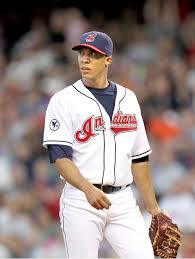 For instance, his curveball is clocked at 70 MPH, which is a couple ticks faster than an average curveball. Cease is deceptive, his body doesn’t look like it can take the rigors of pitching, so Cease has a sort of natural deception when he throws. 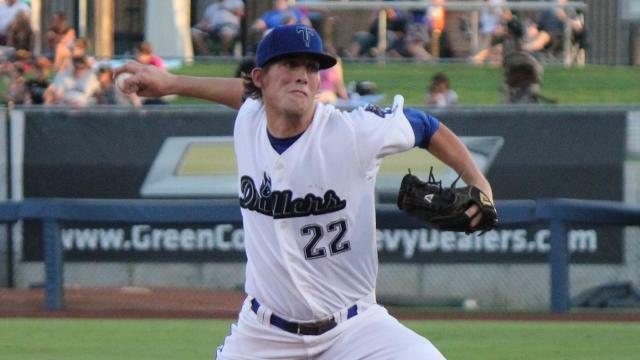 However, like TCU’s Brandon Finnegan, he is conscious of his delivery, but because he’s young, he does have time to determine if he’ll be a better starter or reliever. 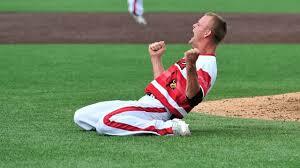 Every year, a highly rated college pitcher takes a tumble. 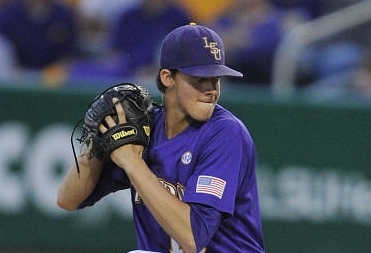 Two years ago, it was Mark Appel, last year, Arkansas’ Ryne Stanek and Indiana State’s Sean Manaea, and this year, it could be Aaron Nola. Avoiding the possible reasons why he could fall, Nola’s game isn’t reliant on strength, but rather, craft. His command is superb, and his pitching arsenal is very effective. However, his big knock is that he doesn’t really have a standout pitch. Now, in the high school ranks, that would work, as the development of a high school pitcher allows for the selection of a dominant pitch, but in Nola’s case, because of his potential accelerated development, he doesn’t have as much time. Still in comparison to Indians top young pitcher Trevor Bauer, who does rely on strength, Nola does seem to have durability on his side. The Dodgers system is stronger than you think, despite the big free agency and trade splurges over the past two years. But there’s still the question of who will take over for Matt Kemp and Andre Ethier when they go? Joc Pederson and Yasiel Puig are good bets, but the third outfield spot remains unclear. Enter Michael Conforto. 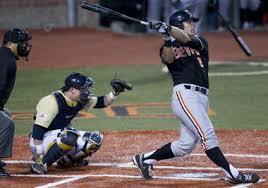 Conforto may not have Pederson’s baseball pedigree, or Puig’s range, but he does have the athletic pedigree. Conforto’s father was a linebacker for Penn State, and his mother was a gold medalist in synchronized swimming in the 1984 Olympics in Los Angeles. Conforto does have power that matches Matt Kemp’s pre-injury potential, and he could fit in the 3 or 4 spot in the Dodger lineup. Conforto does have a natural swing as well, which is good for a power hitter. 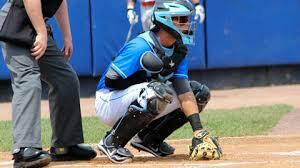 If Conforto can improve his defense, expect his stock to rise, as Sporting News feels that he could be the top college hitter in 2014. Detroit has an affinity for flame throwing relievers, see Joel Zumaya, Jose Valverde and Bruce Rondon for reference), but they still can’t seem to get a quality closer. Nick Burdi may be the answer. Consistently clocked in the high 90’s with the potential to reach triple digits, Burdi’s ceiling is as a closer. What Burdi does lack, however, is a good tertiary pitch behind his fastball/slider combination. Sure, he’s working on a change up, but it’s still in the development stages as of the beginning of the college baseball season. Still, Burdi has the potential to be an Aroldis Chapman-type closer if he can hone the lesser parts of his game. There are two ways that this pick can go. If Chapman isn’t used on the mound at all this year, he’ll make a solid infield prospect, however, if he is used on the mound more, scouts may see him the same way they saw former Fullerton teammate Michael Lorenzen. Matt Chapman has been used his entire college career as an infielder, but in summer leagues, especially Team USA, he was tried on the mound as a closer, and surprised people with his fastball. Chapman does have a strong arm and is a top defender, which should give him a few gold gloves, but his hitting needs to improve if he wants to succeed at the Major League level. The A’s are weak in terms of southpaw prospects. Although Billy Beane has shifted away from the moneyball philosophy of drafting collegiate talent in the past two years, Kyle Freeland may have enough upside for Beane to take a look at him. 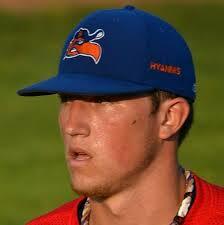 Like Sean Manaea last year, Freeland started getting attention while pitching for Hyannis of the Cape Cod League. His fastball does have movement on it which causes batters to overcompensate, and his slider often takes on the personality of a cutter. His body does have an effect on his mechanics, and scouts are wary of him being in the rotation, but in all likelihood, his effort to compensate could provide him with some leeway on certain evaluators. 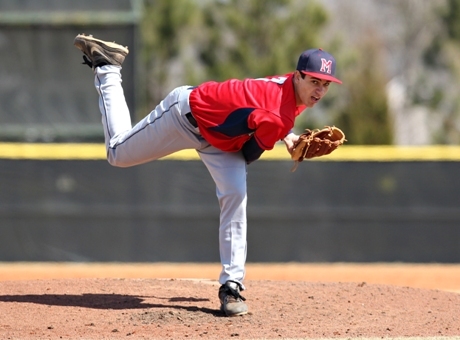 Freeland’s stock can only rise more if he can figure out how to pitch to win at Evansville. 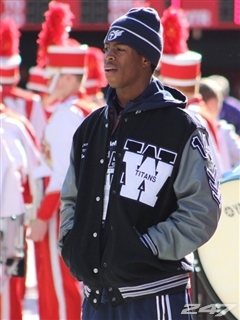 If there were any prospect that could be judged as a hard sign, it would be Missouri prep product Monte Harrison. Harrison has plenty of tools, he’s a great hitter, an even better fielder, not to mention he has a strong commitment to the University of Nebraska for baseball and football (as a wide receiver). Given Atlanta’s track record with high school outfielders, (see Jeff Francoueur and Jason Heyward), they could be one of the teams that would be willing to incur penalties and future pick forfeiture so that they can get this young man signed. The big flaw in his game, however, is his patience. 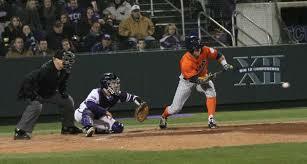 If he can curb his strikeout numbers, he could rise to a top 15 pick riding on his athleticism alone. NC State isn’t the only school with two potential first round talents. JD Davis’ right handed power as a first baseman and fastball as a pitcher could intrigue Boston to go after a second straight two way player after Trey Ball. 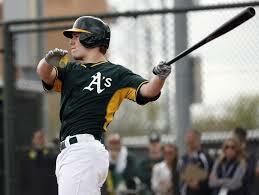 Davis is kind of like Mike Napoli, but he’s young and doesn’t have the durability issues the former has. He has an excellent fielding arm, and already has a feel for wood bats, as evidenced by his second place finish in the Cape Cod League Home Run Derby. Davis could rise through the minors quickly and when Napoli is eventually named a designated hitter, could take his spot. Kodi Medeiros is an enigma. His small stature, lack of control on his secondary pitches, and windup, not to mention he’s in uncharted territory as a prep player from Hawaii should have teams backing away, but the Cardinals could actually use a prep lefty like him for their rotation down the road. Medeiros’ biggest redeeming quality is his fastball, which while normally a low 90’s offering, can go up to the mid 90’s on occasion. Although his command is an issue, the movement on his secondary pitches has led to him acquiring the strikeout pitcher label. Medeiros would have some familiarity if he was drafted by the Cardinals, as he was teammates with second baseman Kolten Wong’s brother Kean, an infielder in the Rays organization. The order of the compensatory picks has not been released, and until they are, this will serve as the conclusion of the 2014 mock draft. Stay tuned for version two, which will be released by the start of the College World Series.